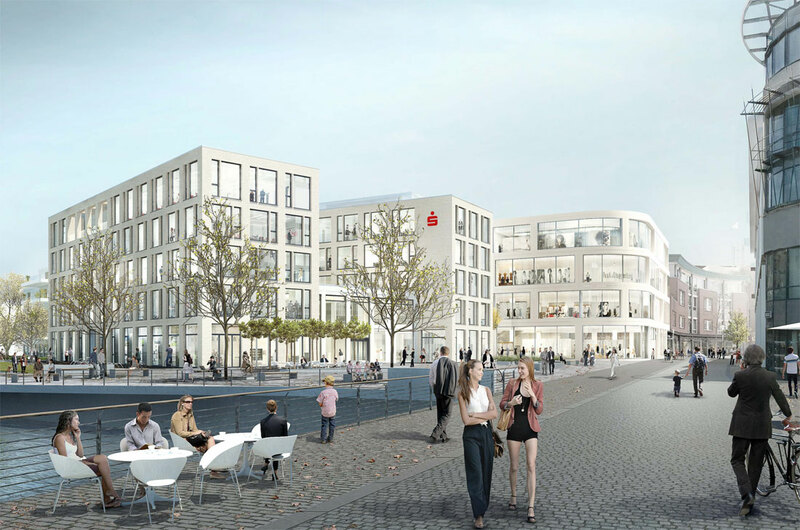 The Sparkasse Bocholt intends to realize the new construction of its main office in the city center. The property extends along the very busy Neustraße / Neutorplatz and is bounded in the north by the inner-city corridor of the Bocholter Aa. 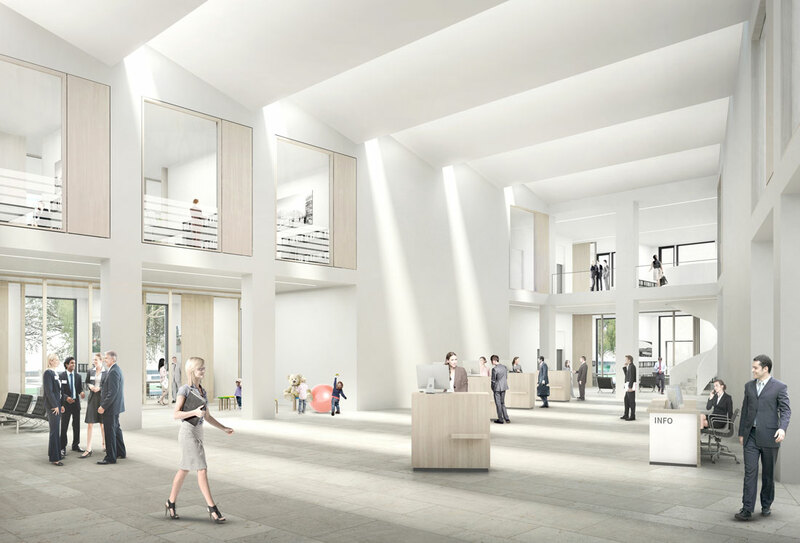 Following the demolition of the Hertie building, retail stores, space for services and apartments are also to be built on the approximately 10,000 m² property. The design proposes a development with three solitary buildings. These U-shaped building blocks, which open in different directions, lead from the inner-city block structure to the open oganisation of the new urban development. 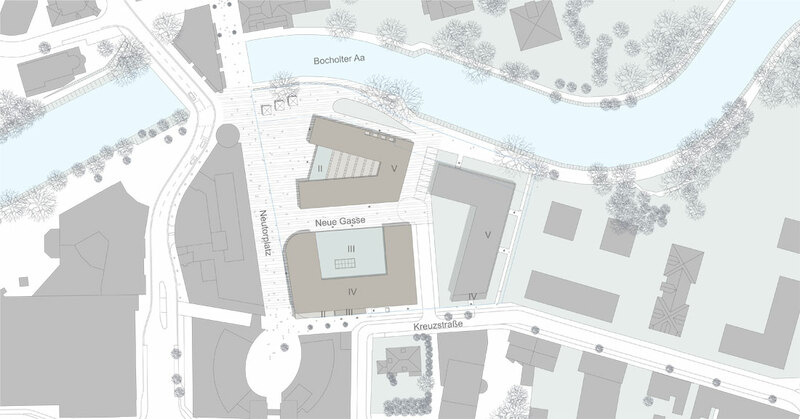 A generous expansion of the Neustraße in the area of ​​the Aa-Bridge creates an inviting area in front of the Sparkasse volume, and thus creates a high quality public space. 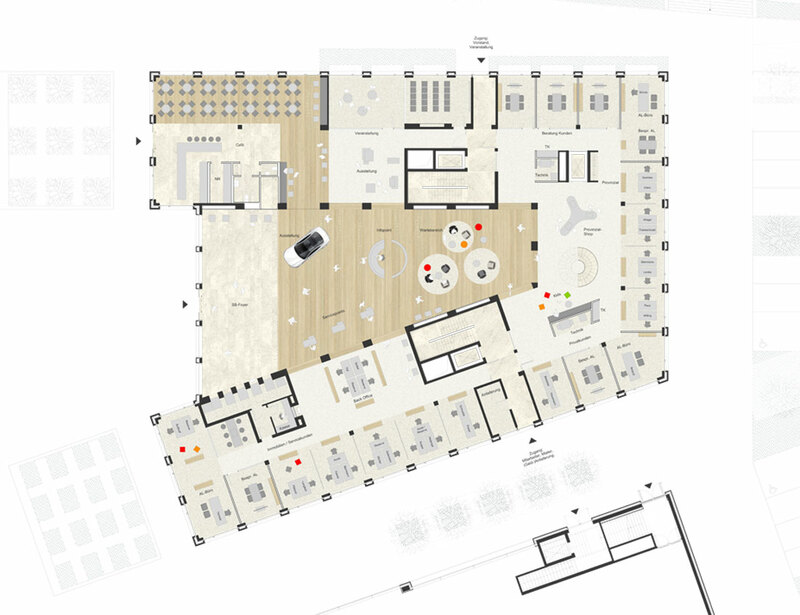 The new main office opens to this square and positions the Sparkasse confidently in the public sphere. The reception area of the main entrance as well as the association center are thus distinct in their environment. In the southern, five-storey building block, two retail spaces and service areas are planned in the floors above. The residential building volume forms the eastern element and completion of the district, of which the ground floor is reserved for commercial services.